Home Around The NFL Josh Norman believes NFL holds a double standard. Josh Norman believes NFL holds a double standard. 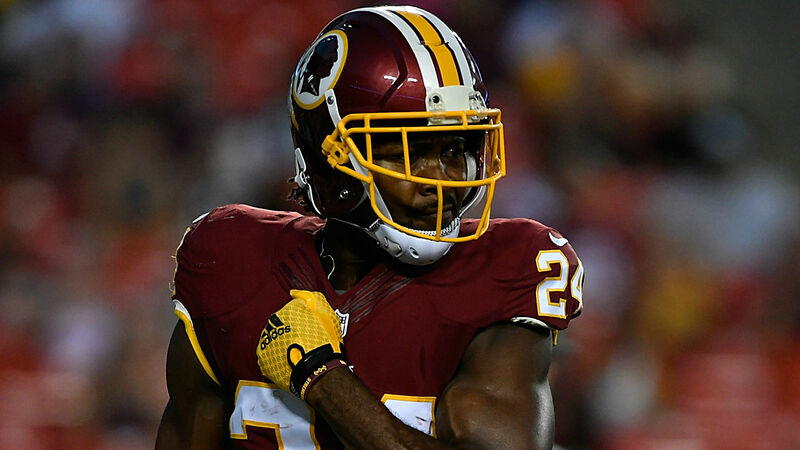 Redskins cornerback Josh Norman was fined $9,115, last week, for firing an imaginary bow and arrow after intercepting a pass against the Cleveland Browns. Norman has proved that he’s not shy when it comes to speaking out and this incident was no different. His most recent rants have been about a double standard he believes he sees in the NFL when it comes to these fines for celebrating. He plans on appealing this fine because he thinks the league should let a little fun slide on the field. He also believes he’s personally being targeted this season. He mostly referred to the bow and arrow fine but, he was also fined $48,620 for a hit he made in a game against the New York Giants earlier in the season. The Cannons Will Fire Again! D.C. Area Bucs fans get a bar all to themselves. Next articleIt’s just the beginning.